Important: The CDN is only available on Onyx Pro, Business and Agency plans. It also requires that our default Onyx plugins are installed. To enable the Onyx CDN follow the instructions below. Your site content will gradually be pulled to our CDN network. For larger sites this may take some time. It is now recommended you clear the Onyx cache so your site pages are then regenerated using CDN links. 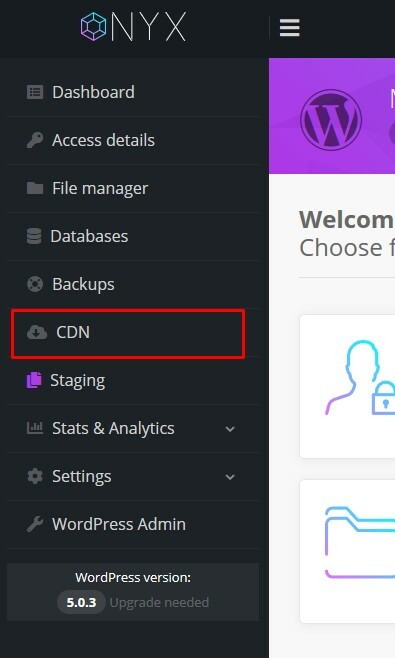 After you've enabled the CDN you'll see the screen below that shows a number of options. 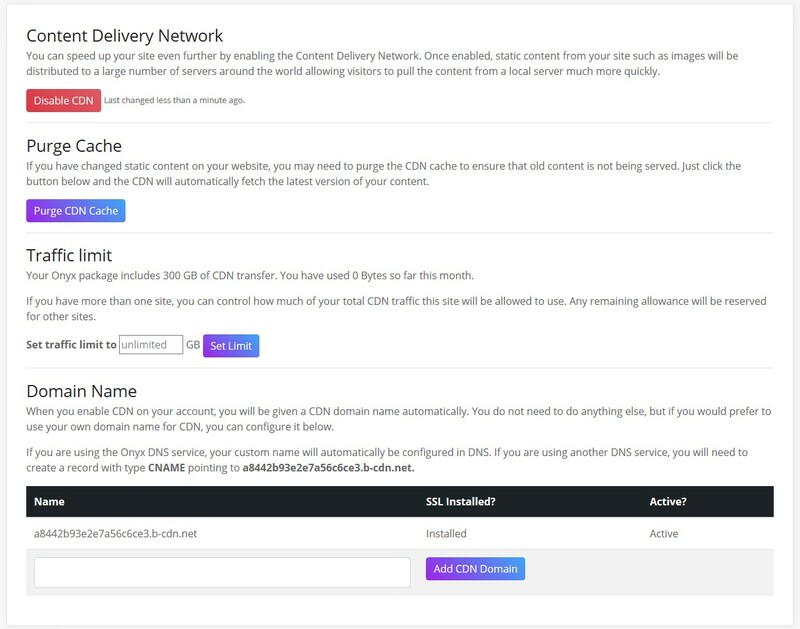 You can visit this screen to Purge the CDN Cache - if you've changed any static content on your site you may need to purge the CDN cache to ensure that old content is not being served. You can also limit this sites CDN quota if you have multiple sites in your package. Simply enter a number of Gb and click 'Set Limit'. If you're using a third party DNS service you can also add your own CDN domain name here. If you are using Onyx your custom CDN name will be automatically configured in DNS and no further action is required. Your site content will now load from the Onyx platform directly. It is now recommended you clear the Onyx cache so your site pages are then regenerated without CDN links.